Hello! Welcome to the beginner piano lessons guide. On this page you will have an easy access to most of the piano lessons on this website that are designed for beginners. I am sure that you will find this page useful and you will be better able to find the lesson or topic you are interested in. This lesson will give you a clear understanding of what the piano keyboard is. Exploring Piano Intervals – Learn about the different types intervals that can be located on the piano including semitone(half step) and tone movement (whole step). Letters of the Piano Keys – Learn to find the letter name for the keys on the piano or keyboard. Using the Piano Keys to Play Simple Melodies - In this lesson you are going to use piano notes to play some simple melodies on your keyboard. Exploring Piano Scales – Learn what scales mean in music, how important are scales to piano players, the type scales that exist and how play scales on your piano. Playing Major Scales on the Piano - Major scales are among the first set of finger exercises that all beginner piano players should learn to play during the early stages of their musical development. Playing Minor Scales - As a developing pianist or keyboard player, learning to play different piano scales should be one of your main areas of focus. Among the different scales that exist, all piano players should learn to play minor scales on their piano. Blues Scale Lesson – Learn how to construct and play blues scale on your piano. The Pentatonic Scale - A pentatonic-scale consists of five notes and is also called a five tone or five note scale. Piano Tabs for Beginners – Learn about piano tabs and how to use them to help you while you learn to play the piano. Using Piano Notes to Play Simple Melodies - On this page you are going to use piano notes to play some simple melodies on your keyboard. Piano Chord Theory Concepts - Learn about various piano chords, how they are formed and played on the piano. Minor Chord Theory - Learn how to form and play minor chords on your piano or keyboard. Major Chord Theory - As a beginner piano player having an understanding of major chords is very important. CLICK HERE FOR MORE BEGINNER PIANO LESSONS! 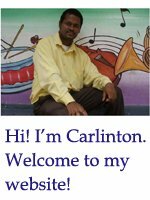 Leave beginner piano lessons page and return to home page!